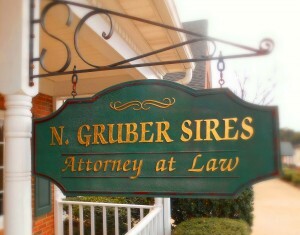 Welcome to the website of N. Gruber Sires Jr., Attorney at Law. If you are here, you are looking for a lawyer in Seneca, South Carolina to help you through your legal troubles. Look no further! N. Gruber Sires is an attorney you can trust with 35+ years of experience, taking care of and resolving legal issues pertaining to Criminal Law, Family Law, Estate Planning and Real Estate Law. N. Gruber Sires will use his skills and expertise to ensure that all of your legal issues are taken care of in short order. Visit our Law We Practice section to see what legal issues Gruber Sires can help you with today. If you are unsure about what kind of legal help you need, contact N. Gruber Sires using the contact form below and he will be glad to help. Briefly describe your situation in the box below and N. Gruber Sires will contact you as soon as possible.